It is with great sadness that Higdon, Higdon, Hardy & Zuflacht, L.L.P. say farewell to our dear friend and law partner James N. “Jim” Higdon, who passed away Sunday, March 4, 2018, at the age of 73. Born October 20, 1944, in McAlester, Oklahoma, Mr. Higdon was widely recognized in the Texas legal community as one of San Antonio’s pre-imminent family lawyers. Mr. Higdon received his Bachelor of Arts from the University of Texas at Austin in 1967. He earned his Master of Business Administration at the University of West Florida in Pensacola in 1973. 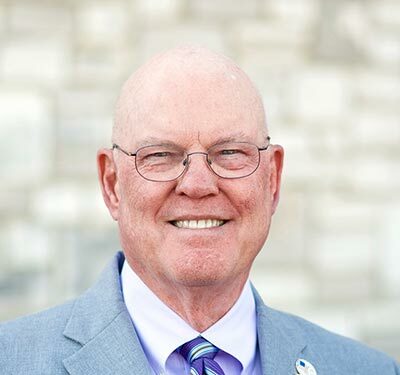 After serving a total of six years as an active duty pilot in the Navy, he attended St. Mary’s University School of Law in San Antonio, Texas, to receive his Doctor of Jurisprudence in 1975. He then served 18 years in the Naval Reserves, retiring with the rank of Captain. Sought out by many, Mr. Higdon was recognized as an expert for military related family law matters nationwide. He practiced law for over 43 years, 21 of those years at Higdon, Hardy & Zuflacht. A “serial” volunteer, he was a member of the American Academy of Matrimonial Lawyers, the Texas Academy of Family Law Specialists, the San Antonio Bar Association, Alamo Masonic Lodge (Past Master and Treasurer, 1976 – 2018), National Sojourners, Inc. (1984 – 2018 and National President), Association of United States Navy (1977 – 2018), San Antonio Oak Hills Rotary (1989 – 2018 and Past President), San Antonio Family Lawyers Association (1986 –2018 and Past President), and Alamo Masonic Cemetery Corporation (1986 – 2018 and past President). He was also a Deacon at Woodland Baptist Church and sang in the choir. He was the beloved husband of 49 years to Barbara Downing Higdon, loving father and father-in-law to sons Travis N. Higdon (and wife Janet) and C. Andrew Higdon (and wife Jake), and grandfather to Byrd, Park, Hadden, and Riley. Jim was a man of many talents and provided his family, friends, co-workers, and clients a sense of comfortability, understanding, and trustworthiness. Jim Higdon will be long remembered by our firm, the legal community, the many volunteer organizations he participated in, and the many clients he helped over the years.